Welcome to these Funny Inspirational Quotes about life. 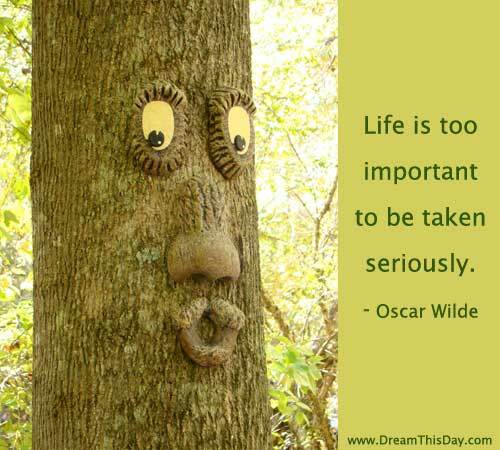 Let these inspiring Funny quotes and sayings give you a new perspective about life - the profound mix of the inspirational and the lighthearted in life. If He would just speak to me once. Anything. One sentence. Two words. If He would just cough. I can't understand why people are frightened by new ideas. Thank you for visiting these Funny Inspirational Quotes and Sayings.